Released in 2005 by Bandai was the 1/144 High Grade Gundam Mk-II + Flying Armor. This mecha was piloted by Kamille Bidan from the Zeta Gundam franchise. The Mk II was a mobile suit stolen from the Titans by Kamile for the AEUG. 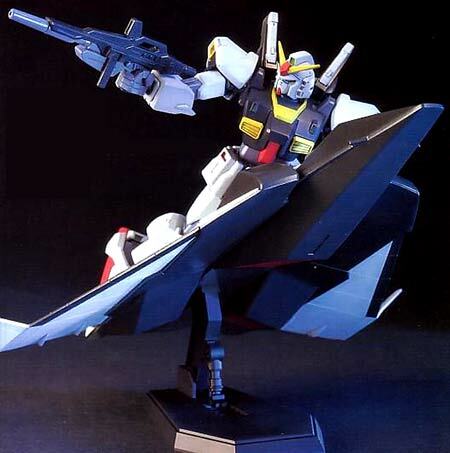 The Flying Armor is used by the Gundam Mk II to give it better maneuverability and speed, as seen in the anime series. Color Guide for the 1/144 HG Gundam Mk-II + Flying Armor Color Guide was translated to English from the Japanese Manual posted at Hobby Search.